Each year at the London Book Fair, the world of publishing convenes at Kensington Olympia. Every available exhibition space, from the Grand Hall to the Club Room, is crammed full of industry professionals and visitors, with a few eateries and coffee bars interspersed amongst the stands. On your first visit, be prepared to be a little overwhelmed and disoriented. There are guides at all the main entrances and stairwells to point you in the right direction, and floorplans, both portable and fixed to help you find your way. There is even an App you can download onto your phone. Even with all this guidance my tip would be to take some time to explore and get your bearings before you launch yourself into the fray. I was pleased to find my 2017 reconnaissance visit paid off, as much of the layout was the same this year, and I felt comfortably familiar with my surroundings. From the West Hall entrance, I went straight upstairs to Author HQ (more of which later), grabbed a coffee and finalised my plans. The different areas are zoned, grouping similar stands into logical groupings. Most of the publishers are downstairs in the Grand and National halls. Upstairs there are four or five main ‘theatres’ housing seminars; others, downstairs are a little more publishing focused and less relevant for writers. The serious business takes place at the International Rights Centre on the second floor. This is where deals between the agents and publishers are done. Entry is strictly by appointment. At the end of the day on last year’s visit, I was allowed up to take a peek. Even at the close of business, I was hit by a wall of noise. The vast space is filled by rows upon rows of tables, reminiscent of an exam hall, flanked by lockers demarcating each designated agent ‘office’. An impressive hive of business activity. – Gain insight into the business of books, the process of getting the words from your imagination out into the world. – Acquire knowledge from the many seminars on everything from self-publishing to contracts and copyrights. – Be inspired listening to author talks. – Expand your network by meeting publishers, possibly even some agents and other writers. For me this last is the most valuable part of the experience. Feeling connected to your peers is uplifting and confidence boosting. There was a definite sense of being in it together. 1. Decide on your objectives – what do you want to learn, who do you want to meet and why? Do you need advice on editing and contracts or copyright? Would you like to meet illustrators or book cover designers? Perhaps you want to explore the self-publishing route? 2. 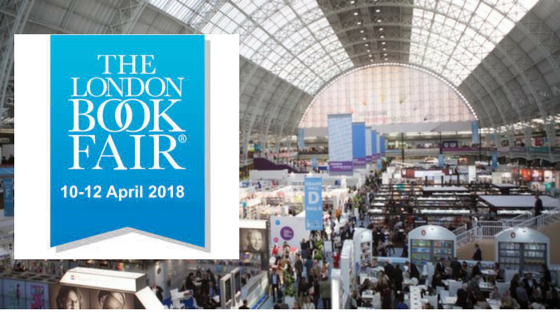 Start early – look out for information on the LBF website and sign up for ticket sales alerts or follow them on twitter. As the program is finalised watch out for author specific opportunities like the novel pitching competition, The Write Stuff and the Agent One-2-One’s. If you register your profile you can contact exhibitors and arrange meetings via the online portal too. 3. Plan your time – a bit like a music festival with multiple stages, there is something going on all the time. Particularly with the seminars you will need to prioritise your time and make decisions based on your objectives and interests and not just allow yourself to star struck by the big names. Focus is key. 4. Dress for comfort – much like museums and airports there are never enough places to sit, so comfortable shoes are a must as you will be on your feet for much of the day. Likewise, a layered outfit is essential. Despite being a vast space, it gets very warm with all the body heat. If a coat is necessary due the British spring weather, there are cloakrooms so you’ll be able to offload any outer layers. 5. Be bold – you’ve gone to the trouble of getting there. Even if you find it difficult, talking to people is the best way to practise your pitch and understand your place in the publishing world. Without exception everyone I spoke to was helpful and friendly and you never know where those connections will take you in the future. All writers are human. Published writers have just the same insecurities. So, it’s ok to question yourself as long as you channel your energies into overcoming the flaws and making your writing better. Agents are also human, but, as their days are taken up supporting their clients and selling their work, there is very little time left for dealing with the hundreds of submissions they receive each week. As a writer seeking representation it can seem impossible to penetrate the market or get any feedback on your query. Any opportunity to speak to agents or hear their views is therefore precious. Both my one-to-one and the feedback given to the Write Stuff, novel pitching finalists provided invaluable insight.